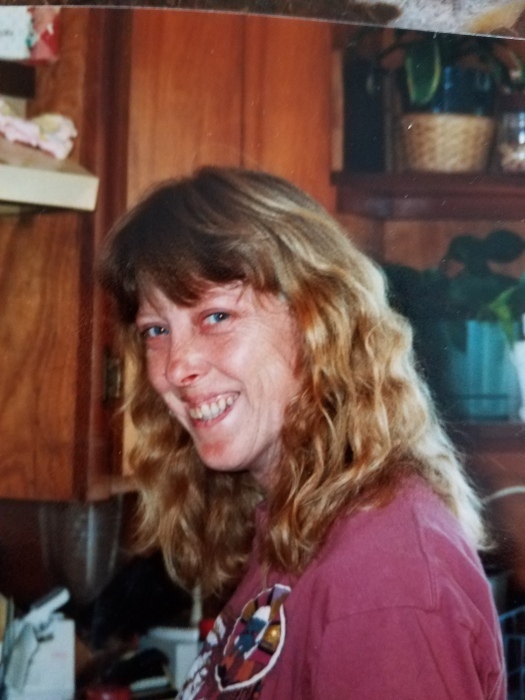 A celebration of life for Kelli Marie Brownson, 61, of Coos Bay will be held at noon, Saturday, May 11 at the Coos Bay Chapel, 685 Anderson Ave., with pastor Bryan Johnston, officiating. A reception will follow at 1:30 p.m. at the North Bend Church of Christ, 2761 Broadway in North Bend, where Kelli was a member. Kelli was born Feb. 26, 1958 in Myrtle Point, the fourth of six children to Lloyd Wallace and Leila Patricia (Holliday) Brownson. She passed away April 8, 2019 in Coos Bay after struggling with multiple health issues. She was surrounded by her children and family in her last hours. Kelli attended North Bend High School. She enjoyed the outdoors and lived in several places in the Pacific Northwest including: Sitka, Alaska and Vancouver, Wash., and spent the most time here in Coos County where she met her children's father, John D. Garrett, and where she raised her two children. She enjoyed gardening and dabbled in all kinds of crafts. She also liked jigsaw puzzles and playing with her grandson. Kelli had a heart for all kinds of animals and loved rescuing them from the shelter. To honor that love, in lieu of flowers, the family suggests memorial contributions be made to your local animal shelter or animal rescue. Kelli is survived by daughter, Kayla Marie Roybal and son-in-law, Eric Roybal; son, Shaun Casey Garrett and daughter-in-law, Jessica Garrett; grandson, Brendan Anthony Mitchell; and siblings, Clifford D. Brownson, Leila D. Brownson, Darrel R., Tracy D. Ringle, and Rowdy S. Brownson. There's still time to send flowers to the Celebration of Life at the Coos Bay Chapel at 12:00 PM on May 11, 2019.